We received Bean’s September Citrus Lane box and Mama was sooo happy! Wanna Try it out! Get 50% off your First Box here! Thank you for joining me here, at Mama Bendia, where I’ll provide product reviews, talk mama-ness, things to do in Central Oregon, baby-friendly restaurants, and general musings! 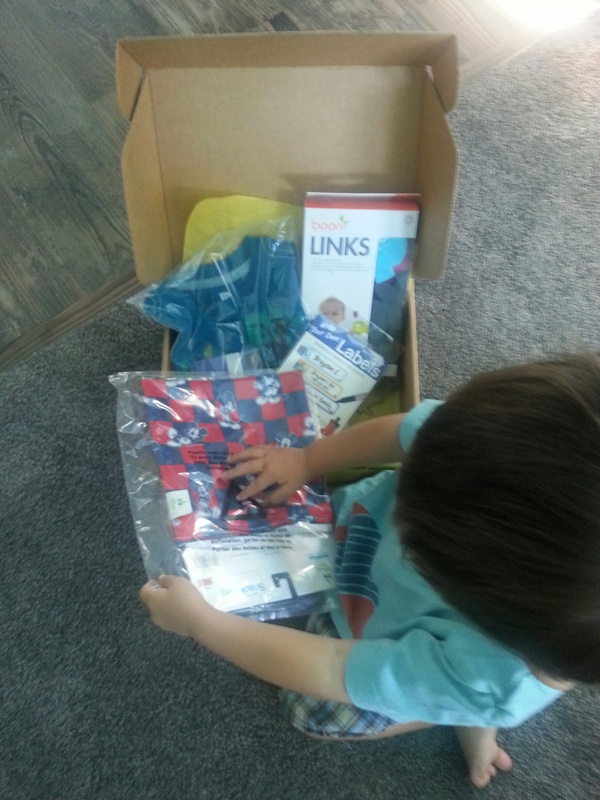 Upon signing up for Citrus Lane, we provided age and gender of our little guy and receive a wonderful box of age-appropriate goodies every month! OK! I’m a mama obsessed with Tea Collection, I can’t help myself, I just love their clothes and designs. The styles are adorable and the quality is top-notch. So far, I’ve actually found great used baby and toddler items on-line and at my local high-end children’s resale shop, Stone Soup. And…then…this month Citrus Lane completely won me over…completely! 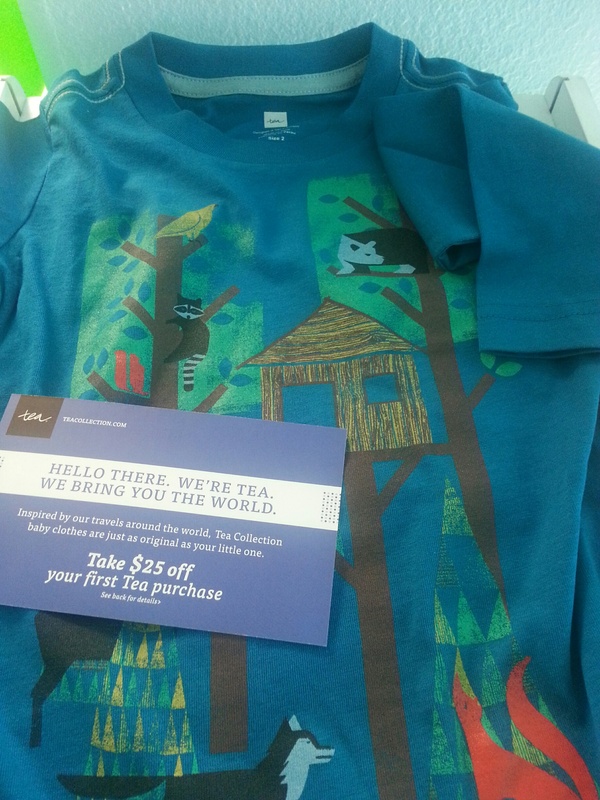 There was a little long-sleeved Tea Collection Tee for Bean in this month’s box! Plus, an amazing promo code, which I quickly took advantage of. Buying my first actual product(s) from Tea, themselves, was thrilling for me! Then…we received the package! It came with a sweet little activity book for Bean! Pure awesomeness! Way to go Tea Collection and Citrus Lane for teaming up! I’m a happy mama! We’ve received Boon Bath toys in our Citrus Lane before…LOTS of them…and they are always so amazing! Bean loves his DIVE Bath Appliques and these Link were fairly similar. Turns out the timing was terrific, as we had a 4yr old Birthday for a little friend coming up and these Bath Links were a great gift! 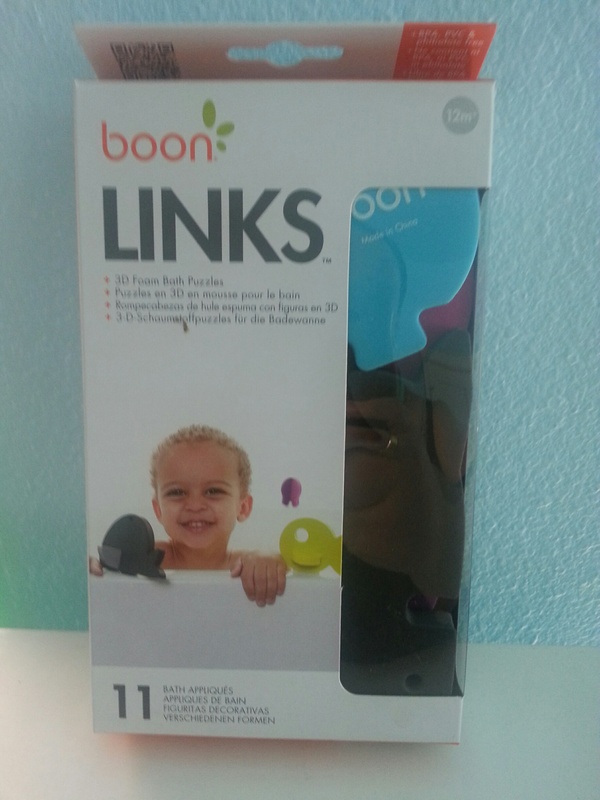 So…a great toy from Boon was given to another kiddo, I like that story! Especially as Beans begins to become more social and we go places that require his name on his own items…good timing. Hoping they work out well! We got little Animal themed ones! We’ve received a few things from Bumkins in our Citrus Lane box in the past…wet bags, small snack bags, etc…I really like all the products we’ve received so far. 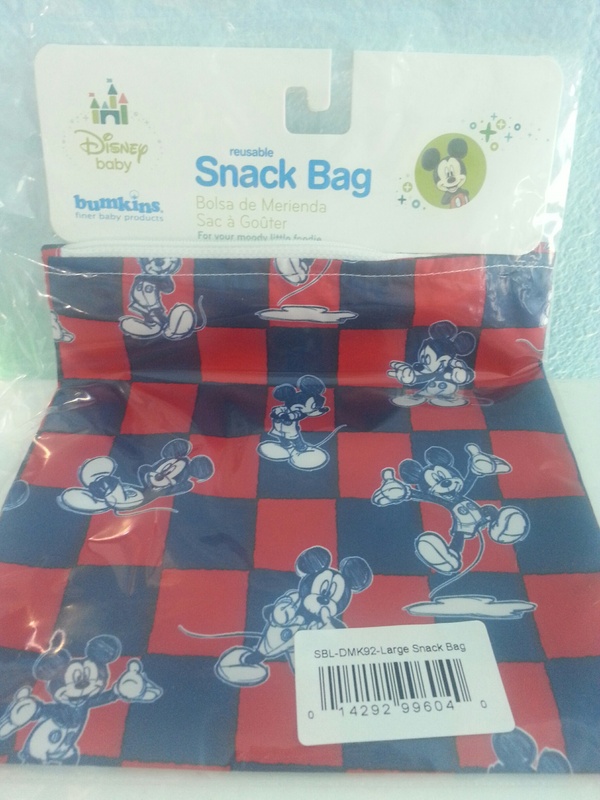 I like that this bag is larger and can hold a sandwich or larger item and it has the same washable fabric as our other Bumkins bags. This was a ‘pick your item’ month with Citrus Lane and the print of this bag was the customization we got to choose. WHAT!? This is awesome! We received a code to send a free box to a friend! I take this as a win for being a Citrus Lane subscriber for so long! I quickly jumped on this and sent out a box to my niece, 6mths older than Bean! Can’t wait to see what she gets! If I had purchased all these items individually… I’d have easily spent more than $75, not including shipping & tax. We, also, received great coupon codes for almost every company/item represented in the box! We opt for a yearly membership, so we pay just about $16/mth… but you can go a month at a time for just $29 AND Get a whopping 50% off your very one 1st box here! It’s so fun watching our little guy open the Citrus Lane box every month! 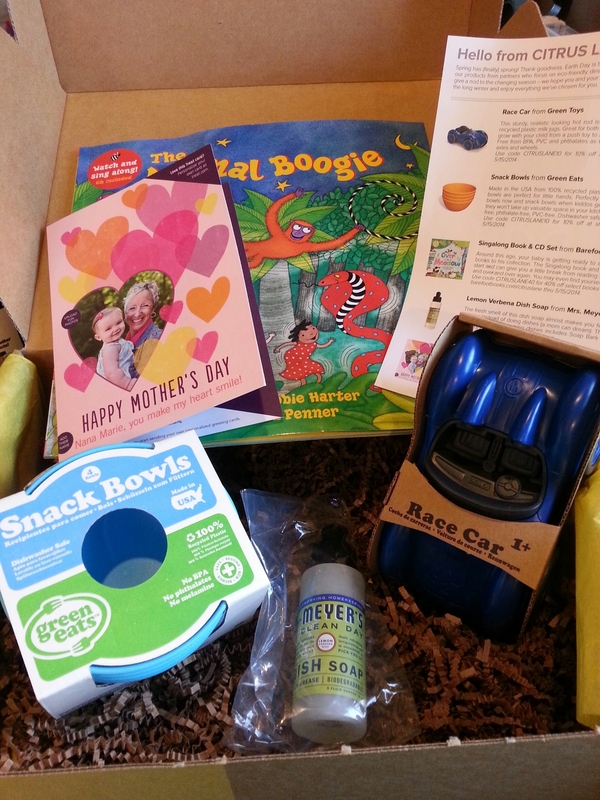 We received Bean’s August Citrus Lane box and it got a little wordy… so we just added water! Wanna Try it out! Get 50% off your First Box here! Thank you for joining me here, on my Mama Bendia blog, where I’ll provide product reviews, talk mama-ness, things to do in Central Oregon, baby-friendly restaurants, and general musings! 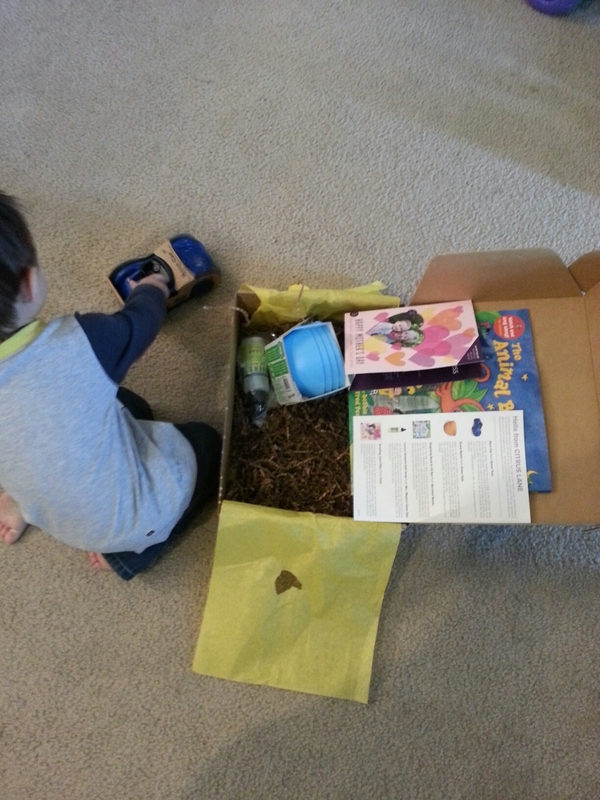 Upon signing up for Citrus Lane, we provided age and gender of our little guy and receive a wonderful box of age-appropriate goodies every month! 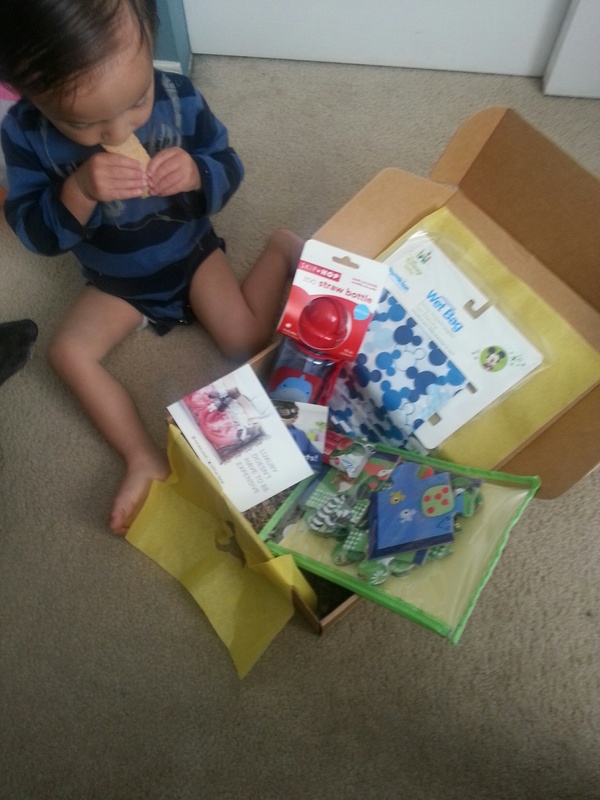 Here’s a look inside Citrus Lane’s August 2014 box for a 22mth-ish old boy : ~ Alphabet Flash Cards by Petit Collage : Bean is savoring the ABCs… which I sing and sign in ASL (Thanks Touch Blue Sky Baby Sign Language Classes!)! He knows quite a few letters and enjoys ‘practicing’ the signs with me. So, I was thrilled to see these Alphabet cards in his box this month! These will make a super cute addition to our ABC repertoire! 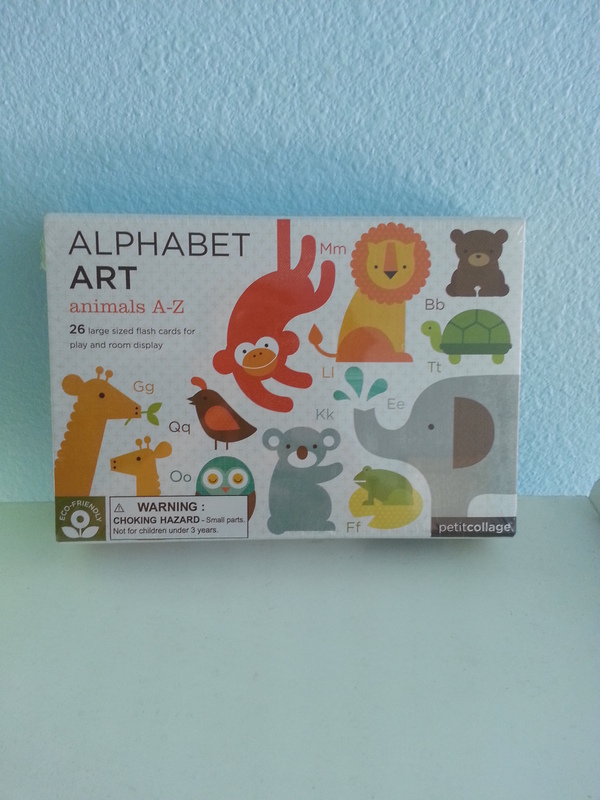 There are a number of Alphabet themes to choose from, and we happened to get Animals! Yay! We love animals in our house! We’ve received other items from Petit Collage… just as cute! ~Tea for Two by Green Toys : While the Tea for Two set was created exclusively for Citrus Lane subscribers, Green Toys has a hit on their hands no matter the size of toy! 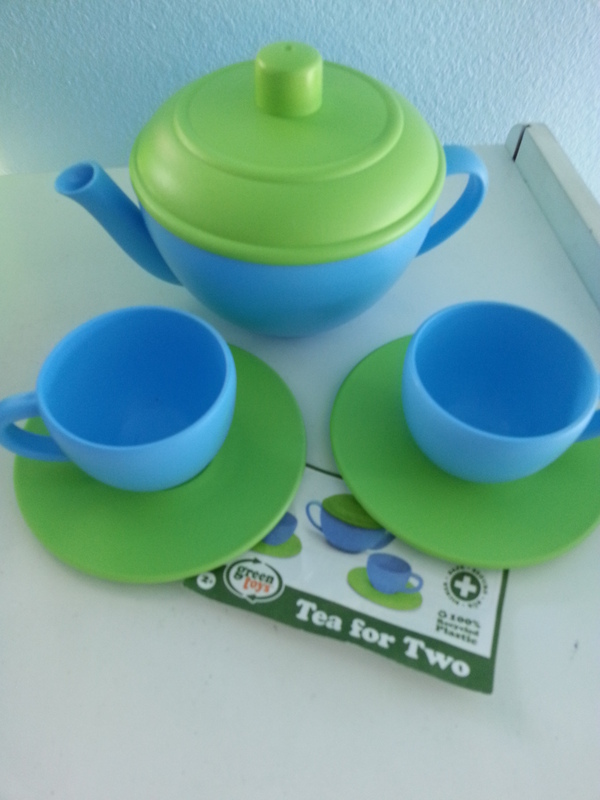 We have lots of Green Toys in our home, including the full size Tea Set. What I liked was that this little set came in a mesh baggie with a little tea kettle, two tea cups, and two saucers… adorbs! And a perfect addition to the Tea Set with Spoons, Creamer, and Sugar Bowl that we already have. Bean was very happy to open this box while lunching in one of our favorite restaurants… he took a spot of … Water, in his! 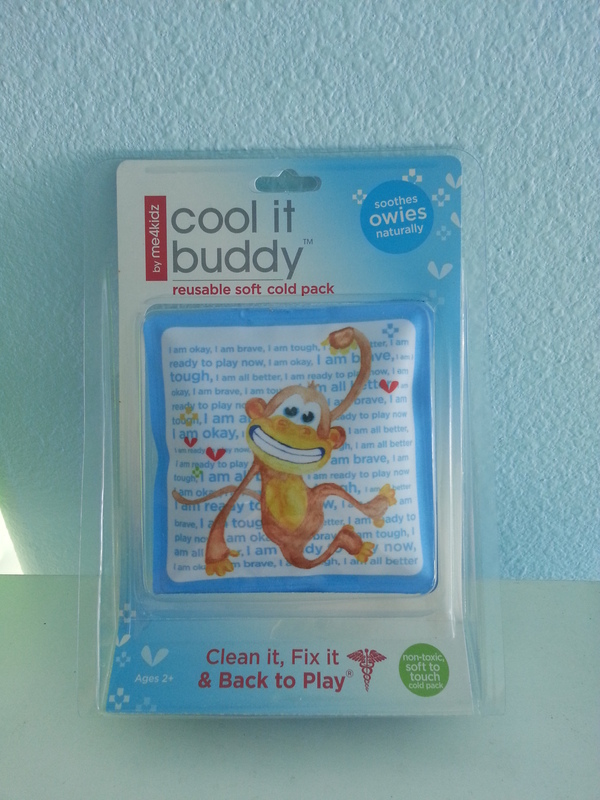 😉 ~ Reusable Cool It Buddy from Me4Kidz : Me4Kidz is a great little company that makes adorable first aid items for kiddos. 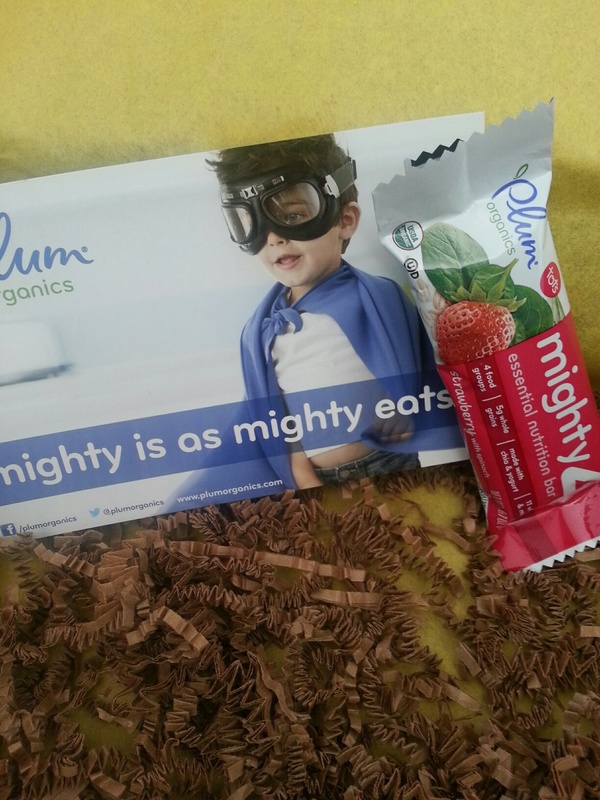 We received their MediBuddy first aid kit in a previous Citrus Lane box! I love using little cooled packs on Bean’s ouchies and Bean loves them too. So, this was a great addition to our freezer! ~ Language Video Digital Download from Little Pim : My mom is obsessed with Little Pim for the kiddos… she got us all a Spanish set last Holiday Season. I wasn’t so stoked and Bean was on to other things. I do want him to learn as much as possible and another language is a great idea… but I’m so into ASL (as mentioned above, hooked on it via Touch Blue Sky) and Bean enjoys the Signing Time with Alex and Leah videos so much, that I haven’t pushed another spoken language on him. 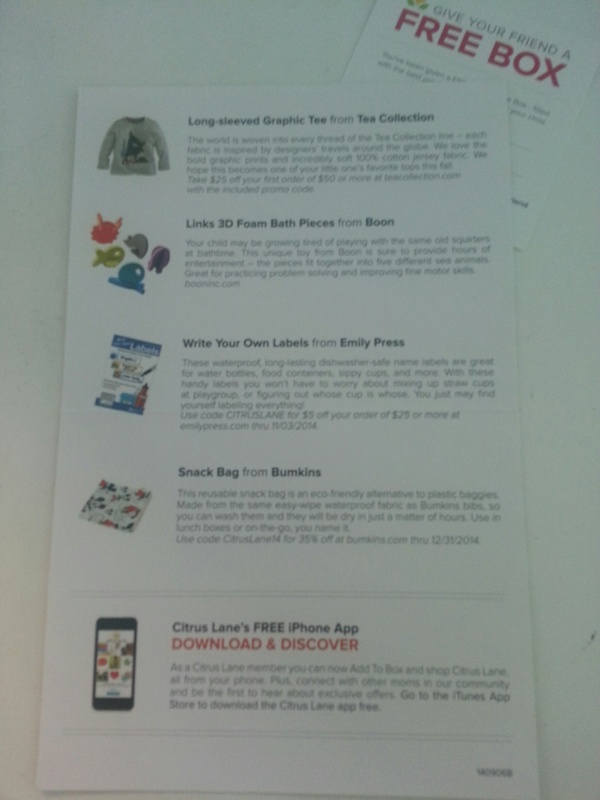 Though I do like the Little Pim offers downloads AND they have Mandarin Chinese! We, also, received a code to try out Care.com! If I had purchased all these items individually… I’d have easily spent about $35, not including shipping & tax. We, also, received great coupon codes for almost every company/item represented in the box! We opt for a yearly membership, so we pay just about $16/mth… but you can go a month at time for just $29 AND Get a whopping 50% off your very one 1st box here! It’s so fun watching our little guy open the Citrus Lane box every month! 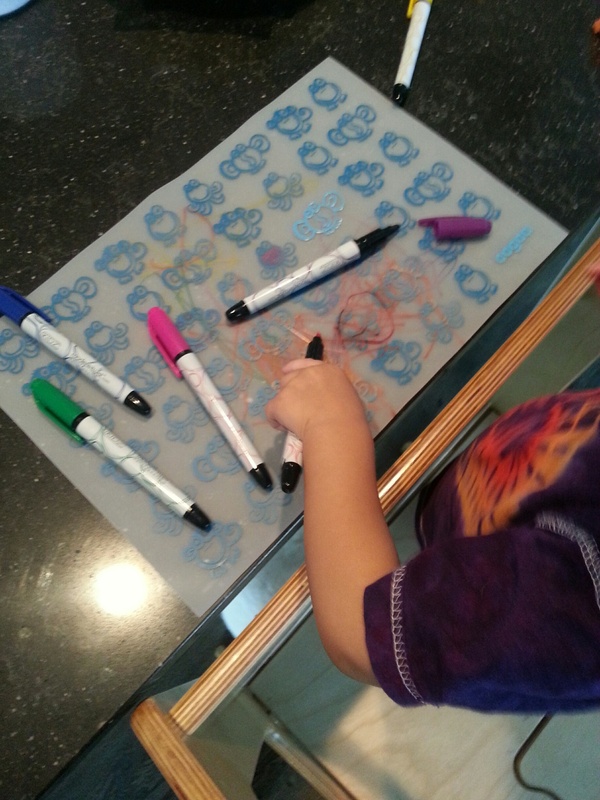 Our little guy is really embracing his toddlerhood and is very much into every learning opportunity on the planet! 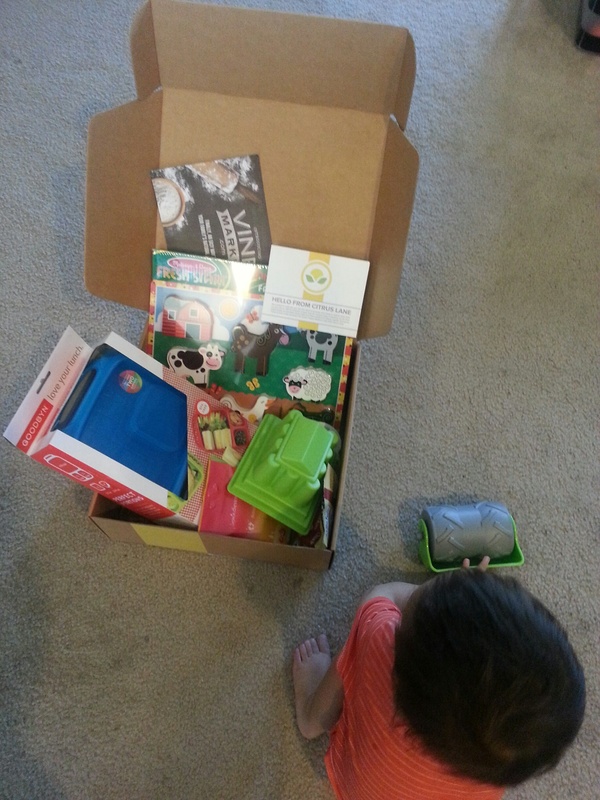 We received Bean’s July Citrus Lane box and it was full of super fun things to help him do just that! Thank you for joining me here at my Mama Bendia blog, where I’ll provide product reviews, talk mama-ness, things to do in Central Oregon, baby-friendly restaurants, and general musings! 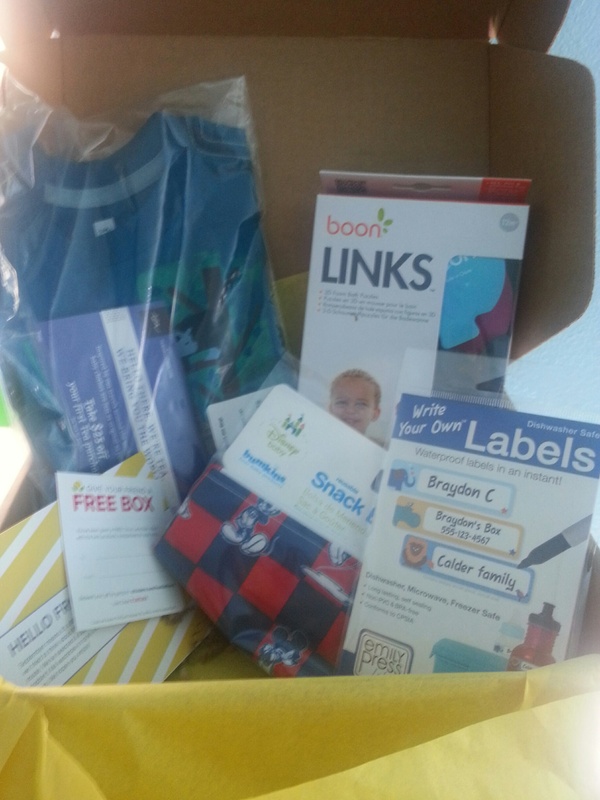 Sooo… upon signing up for Citrus Lane, we provided age and gender of our little and now receive a wonderful box of age-appropriate goodies every month! I think I loved it more than Bean, to begin with! 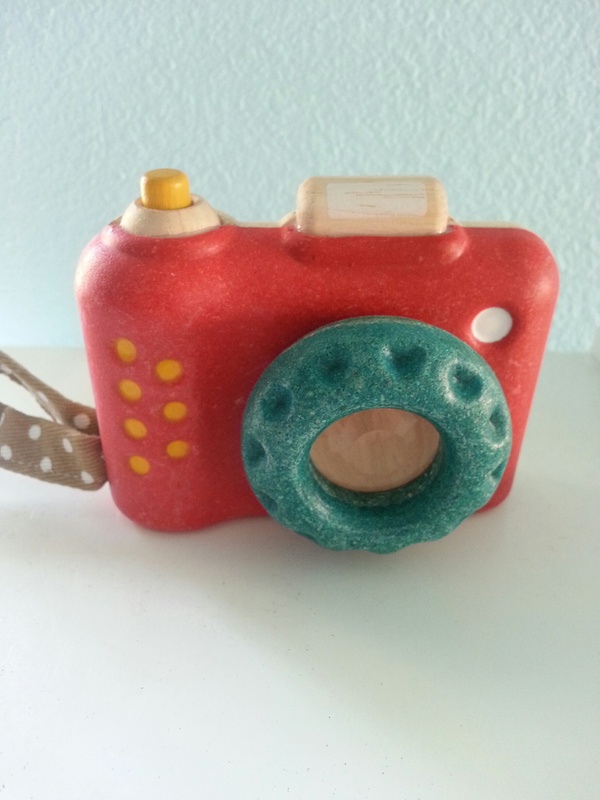 July was a ‘pick your item’ month… and the Plan Toys items was what I got to choose from; there was a Phone or a Camera… since we have a couple ‘toy phones’ already, I opted for the camera. Not only are Plan Toys made super well… sustainable and safe for baby… but their toys are adorable! 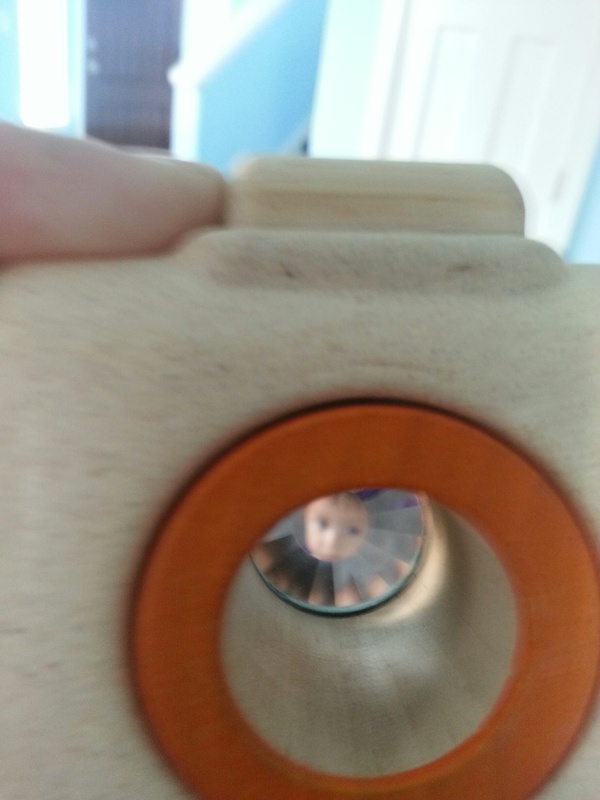 This camera has a actual button, a little wrist loop, and a rotating lens cover… and a kaleidoscope lens!!! Bean didn’t ‘get it’ when I first gave it to him and showed him how to look through the lens… it took about 4wks and then he walked around with it all day, while he looked through the lens, and told me everything he saw ; “Mama”, “Doggie”, “Balloon”, etc! Ummm… Adorable! Hmmm… sometimes I get things from Citrus Lane and I think we’ll never use them. 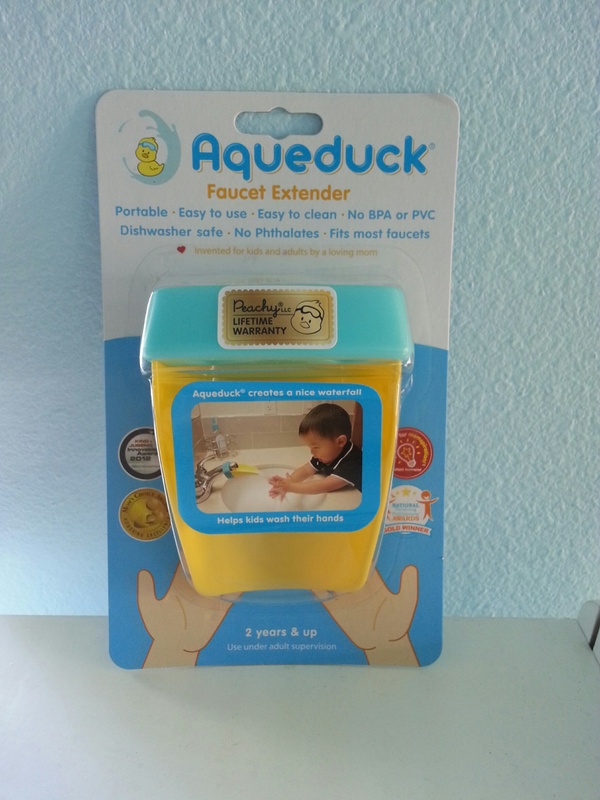 Such was the case with this faucet extender by Peachy. However, I added it to our most used bathroom sink, just in case. Bean hadn’t really started washing his own hands yet, but he was getting close and has a bathroom stool by Bjorn to help him out. THEN, we had a playdate and I noticed the kids that were just about 4-6mths older than Bean were having great success with the stool and faucet extender. He’s still working on the potty training… but he’s not even two years old… so I’m happy with the fact that he wants to flush and interact with the toilet at all! We used it right away with some dry erase markers I bought, that were sold just for this purpose, unfortunately those markers do not wash out of clothing… so I’ve put this up for a bit while I figure things out. 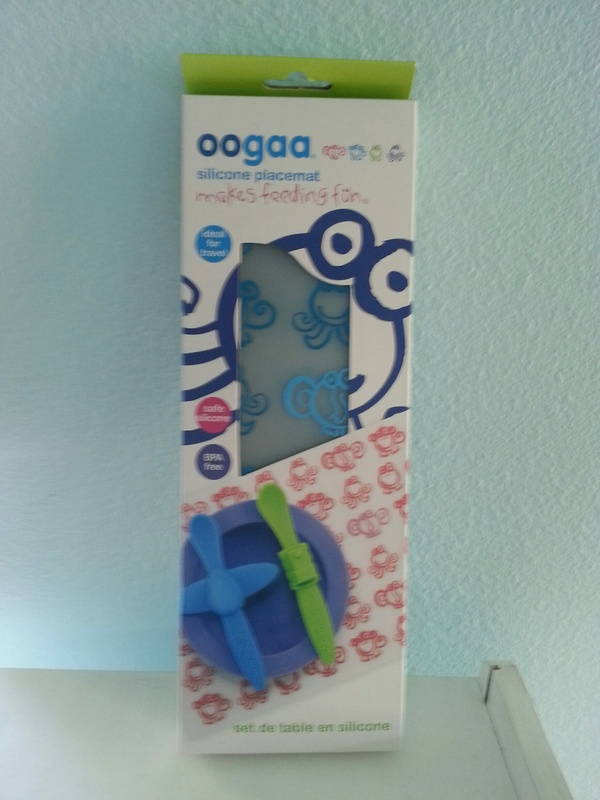 This was our second Oogaa product from Citrus Lane… we received a silicone bowl a few months ago… so far, they have good stuff. 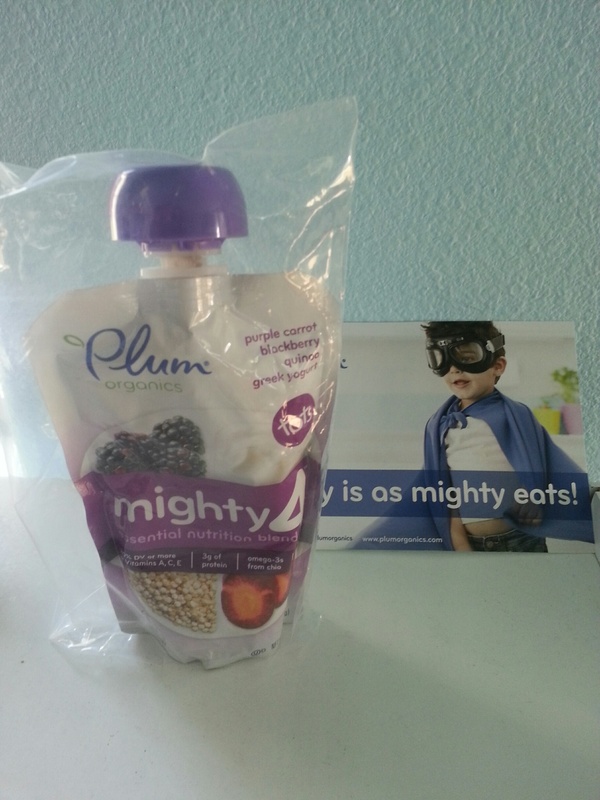 We’ve had some good luck with Plum Organics in our CL boxes in the past and I like that Citrus Lane is keeping up with Bean’s growing needs and offers food products geared to toddlers… It’s a nice way to try out something before we invest in a full package. Yay! A little something for mama, baby, and daddy…! 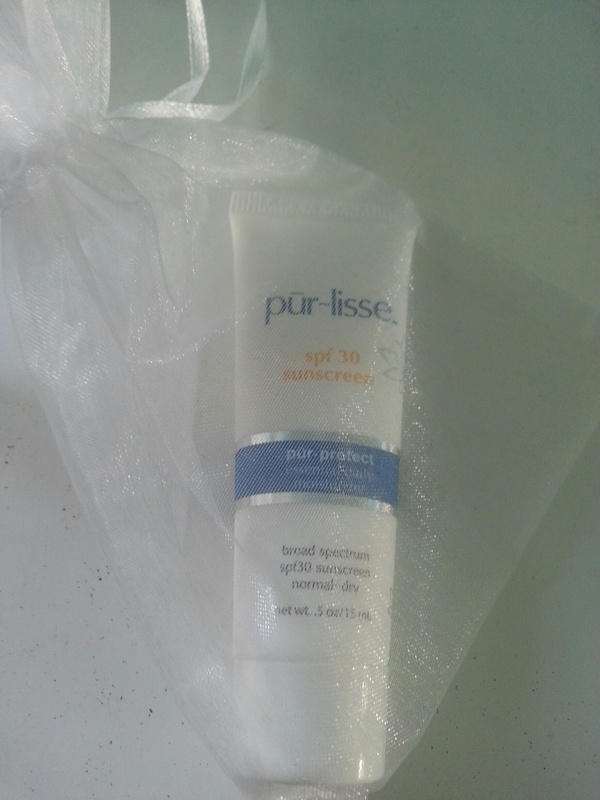 We’ve received a Pur~Lisse product before… a lip protect! It was a nice addition to my daily lip needs… so I was excited to see this trial size of sunscreen, perfect size to keep in our JJCole travel diaper bag! If I had purchased all these items individually… I’d have easily spent over $40, not including shipping & tax. We, also, received great coupon codes for almost every company/item represented in the box! We opt for a yearly membership, so we pay just about $16/mth… but you can go a month at time for just $29 AND Get a whopping 50% off your very one 1st box here! It’s so fun watching our little guy open the Citrus Lane box every month! Wow! It’s been awhile! We finally moved into our new home and getting ready for our housewarming party… reviews and other posts were put on the back burner! But… we did continue to get amazing boxes every month and you’re sneak peeks are forthcoming! 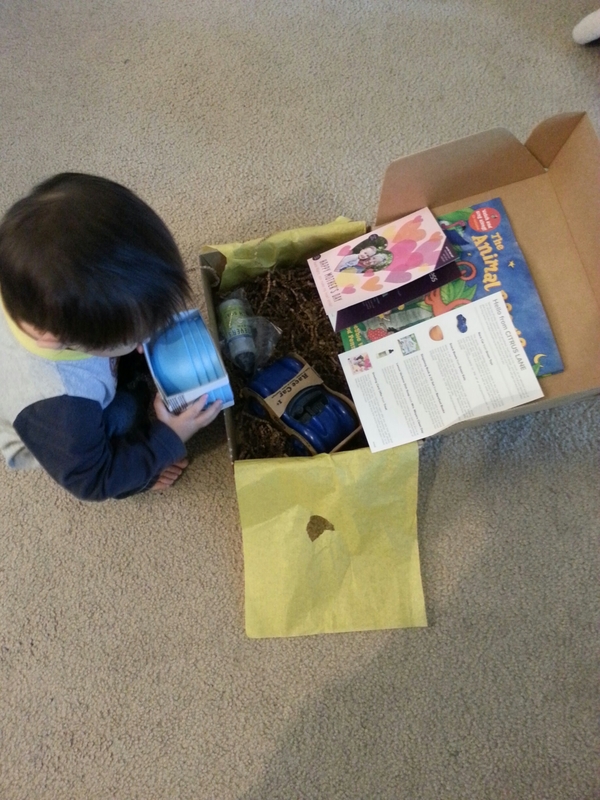 We received Bean’s June Citrus Lane box and it was full of great nurturing items… for eating and for experiencing! Thank you for joining me here, at my new Mama Bendia blog, where I’ll provide product reviews, talk mama-ness, things to do in Central Oregon, baby-friendly restaurants, and general musings! Upon signing up for Citrus Lane, we provided age and gender of our little and now receive a wonderful box of age-appropriate goodies every month! 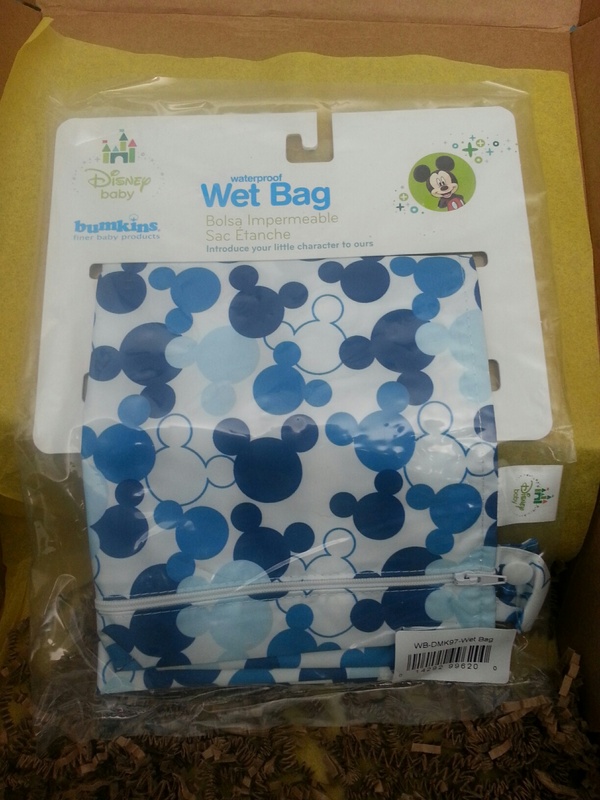 This was a ‘pick your item’ month… so I got to pick the print of the wet bag coming to us. I picked Mickey Mouse, my little guy was lookin’ Mickey Apps at the time! So, this item was not a surprise for me… though I loved receiving it! We have another Bumkins wet bag and it’s amazing when we go swimming… now that swimming includes mama, daddy, and a toddler (vs. mama -or- daddy and a baby in a baby swim class) we need ever more space to put our wet items. Ta Da! Bumkins Wet bag to the rescue! Cute large puzzle (14″ x 11″) with little animals friends; a deer, owls, fox, rabbit, raccoon, fawn! All in a pouch that contains all the pieces! 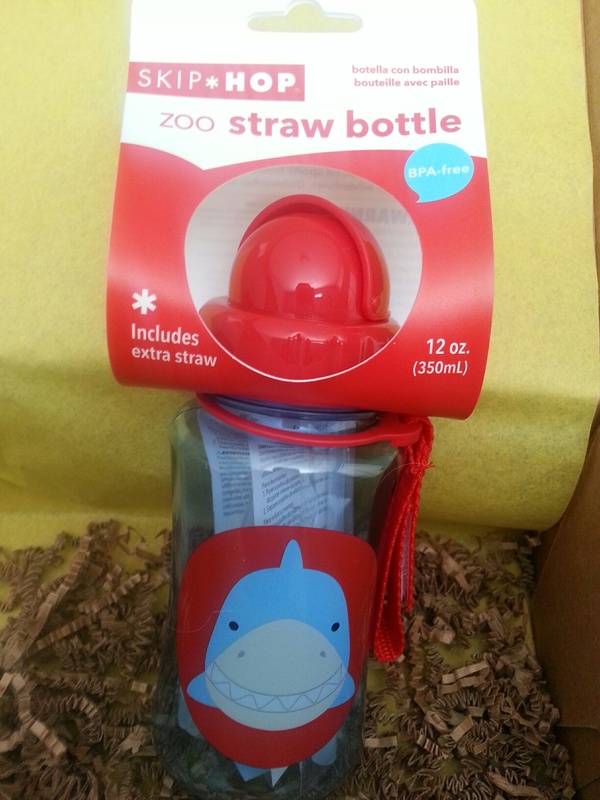 We are loving straw bottles in our home these days… so it was great fun to get one that had a super cute shark on it! We love Skip Hop toys, in general, so this was a nice little surprise. Immediately upon seeing this, Bean wanted me to open it… then immediately upon taking a bit he said, ‘Yummmm’… So I guess this was a hit! And we got a coupon, for more, to boot! If I had purchased all these items individually… I’d have spent about $30, not including shipping & tax. Summer’s around the corner! Get 50% off your First Box here! Upon signing up for Citrus Lane, we provided age and gender of our little and receive a wonderful box of age-appropriate goodies every month! This was the first month Citrus Lane tried out the ‘Customize’ feature… so I was able to see one of the bigger items that was going to be in our box and customize it for Bean! This was a cool idea! Turned out this month I got to decide which Chunky Puzzle to receive… this was great, because we already have a number of these awesome puzzles and there were two on the list that we have at home! 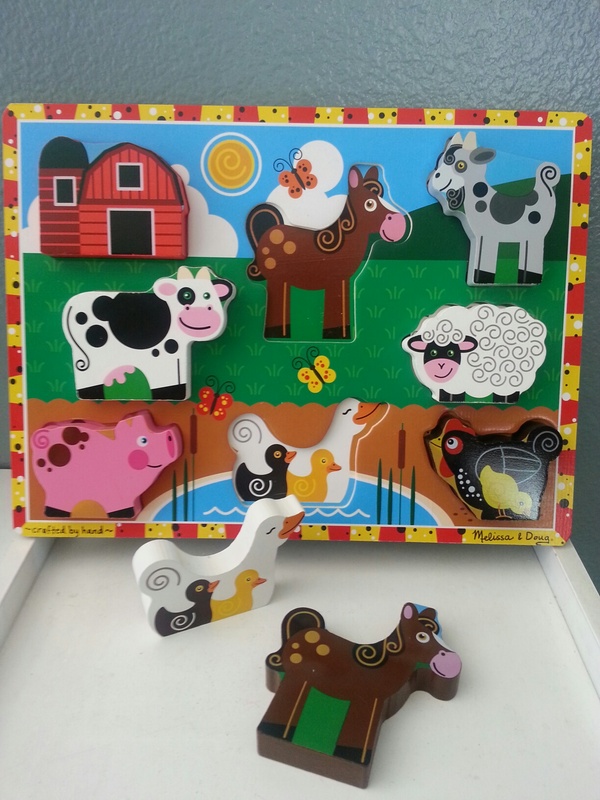 We received the Farm Animals puzzle and it’s adorable! 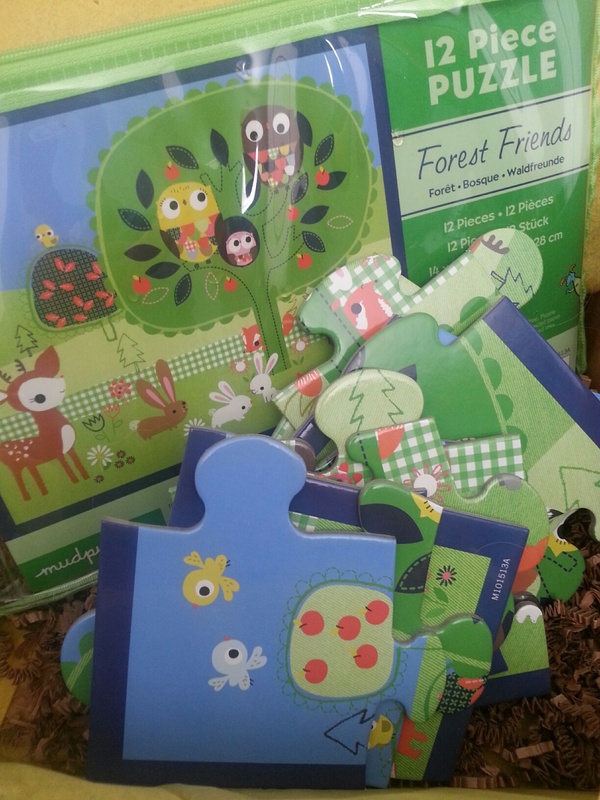 Bean loves playing with these chunky puzzles, because not only does he get a puzzle to aid hand-eye coordination and memory/thought processes… but he, also, gets a few ‘toys’ to play with, making animal sounds and learning about animals. Very cool! Now, if I could just find a good way to store these great puzzles… that would be wonderful… the Deluxe Wire Rack was not helpful at all! This, by far, is the most unique and interesting toy we’ve received! 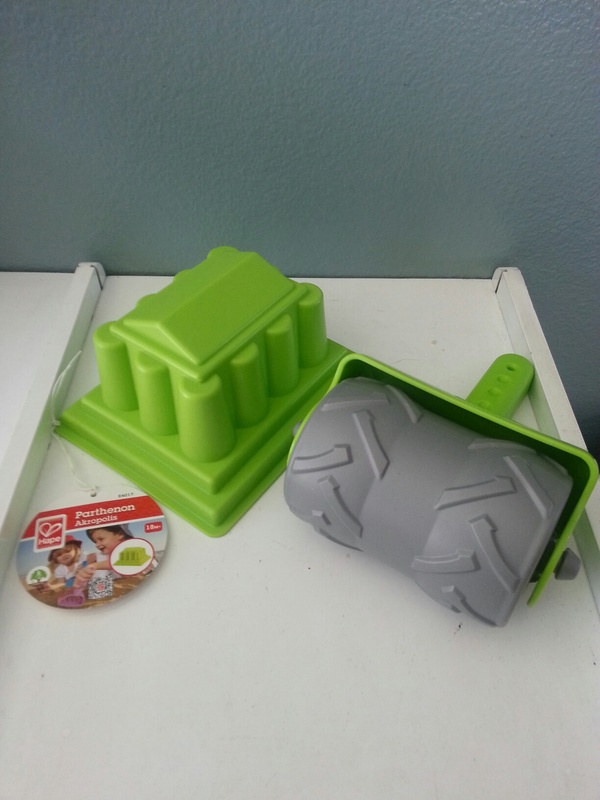 We like Hape Toys, so it was nice to get one (or two) this month… What we have is, literally, a sand mold of the Parthenon!! Soooo interesting and pretty dang cool! Soooo… these are some pretty fun toys for summertime, parks, backyard and such! This is cool! Because… not only is it an awesome way for Bean to tote his lunches when he’s older… we got a head start on this product, In. Our. Citrus. Lane. Before it even hit retail shops! Awesome! OK, so actually, I think I might be using this little doodad before Bean even needs to start using it. It’s great to hold salad and a little dressing and other salad accompaniments… and, of course, it’s also great to hold a PB&J sandwich, apple slices, veg chips, cucumber slices, strawberries, and other kiddie foods! I love that it’s called Hero! 🙂 Of course, it is BPA and Phthalate free. Hero Bento Style Box… rad! 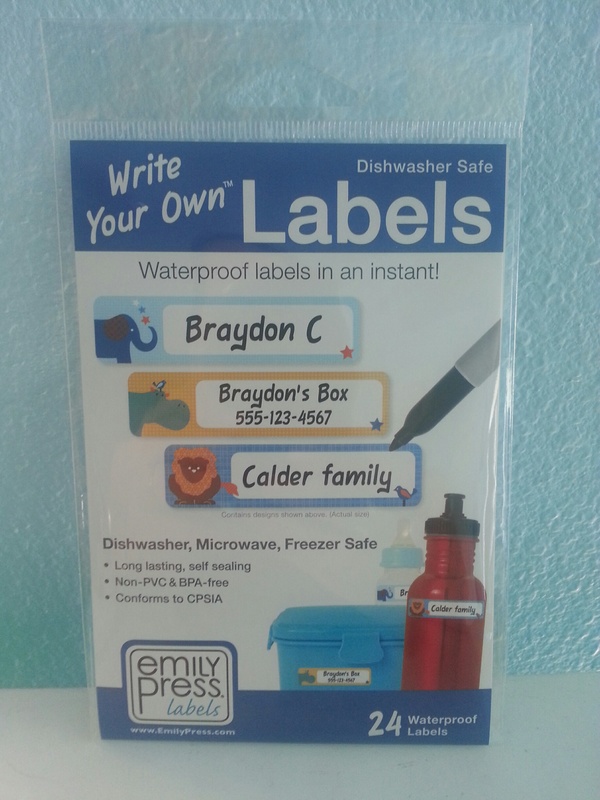 AND the Goodbyn’s can be customized with Dishwasher safe stickers!?!? Cool! At first I thought this was not something I needed (or wanted)… but as we played with our new Citrus Lane box and went in and out of home… I decided to ‘clean’ Bean’s feet, though they kinda’ looked OK, however when I ran these over the bottoms of his feet, indeed, they picked up dirt. Most importantly, the grapefruit scent is delicious!! 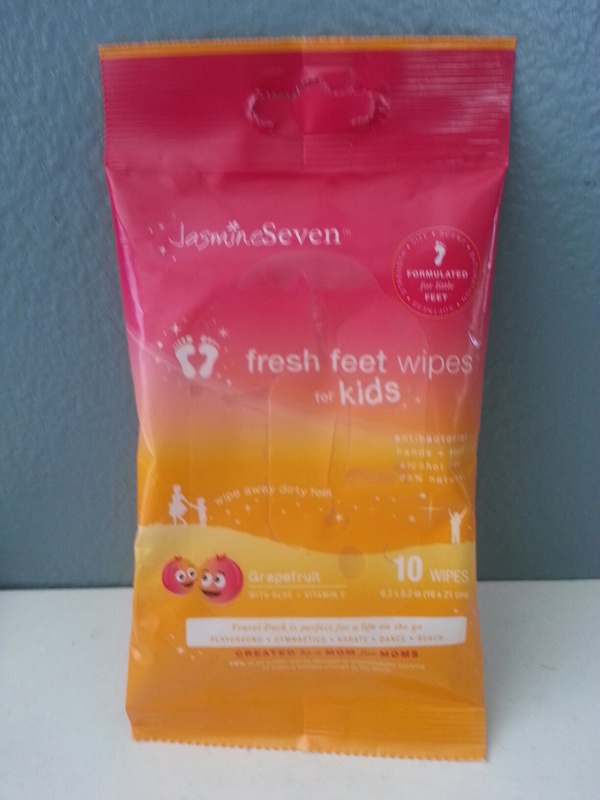 With a new home on the way… these might be a staple at all entry doors to clean Bean’s feet… and doggies’ too! 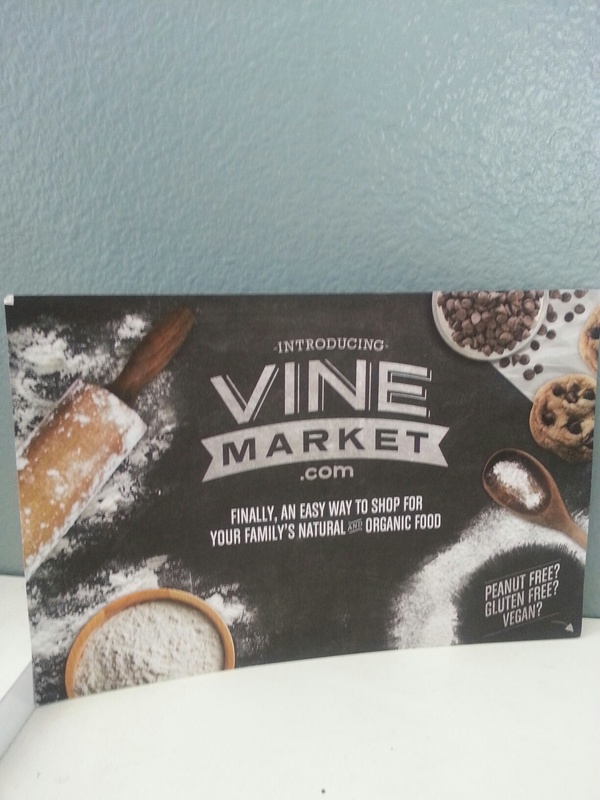 I, also, received a really spectacular coupon for my first order at Vine, plus an additional discount on Back to Nature products through Vine.com! If I had purchased all these items individually… I’d have spent about $37, not including shipping & tax. We are very happy with this box! We opt for a yearly membership, so we pay just about $16/mth… but you can go a month at time for just $29 AND Get a whopping 50% off your very own 1st box here! It’s so fun watching my guys (hubs and boy) open the Citrus Lane box every month! 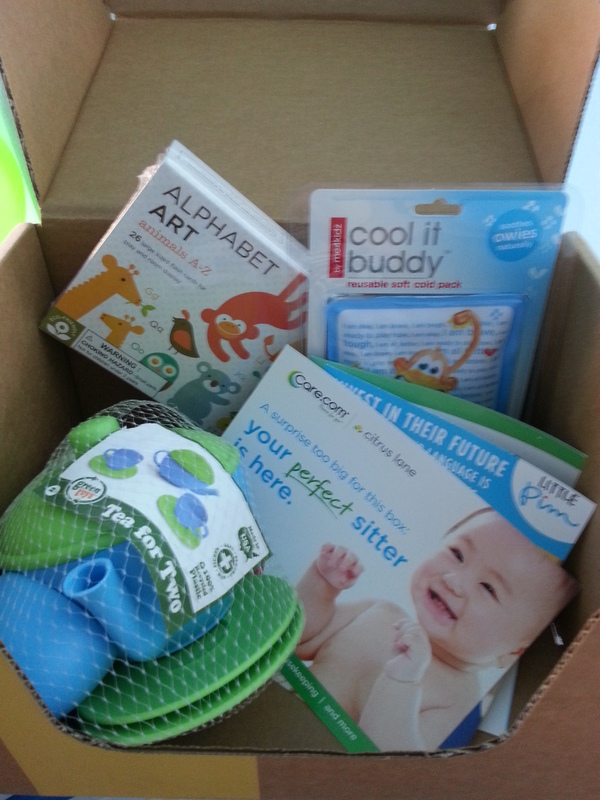 We received Bean’s April Citrus Lane box and it was a sweet box full of goodness for Baby and for the Earth! Bring on Mom’s Month with love! Get 50% off your First Box here! 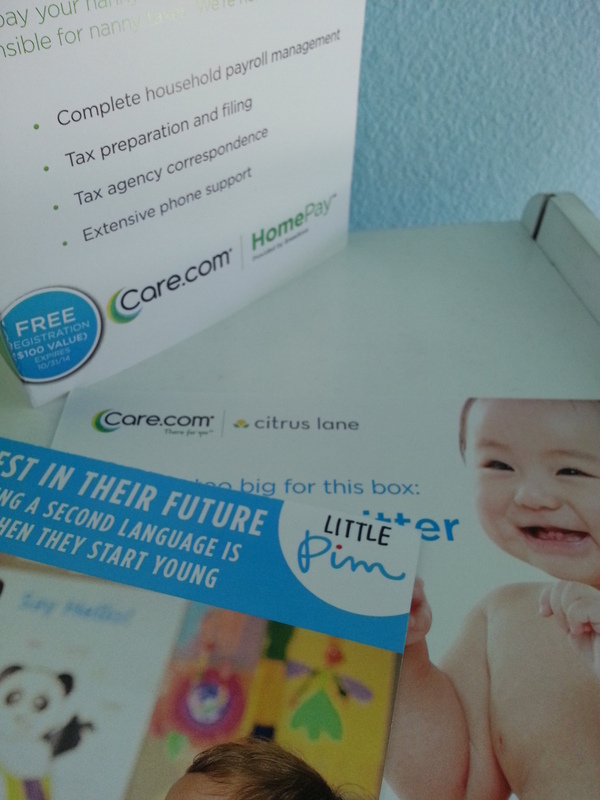 So, upon signing up for Citrus Lane, we provided age and gender of our little and now receive a wonderful box of age-appropriate goodies every month! If you are unfamiliar with Green Toys… go check them out! They are a Bay Area company making toys, in the USA, out of 100% recycled Milk Jugs! 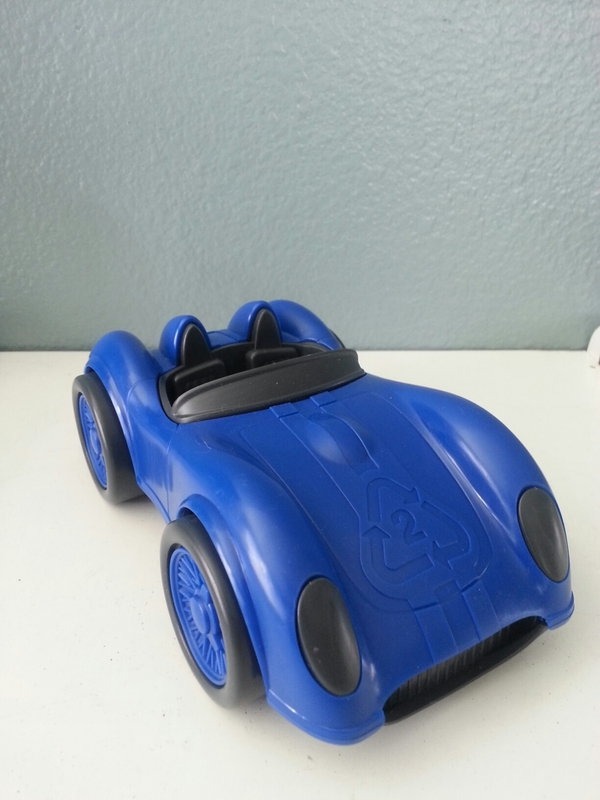 This Race car is the cutest thing… with a the #2 Recycling Logo right on it’s hood! We received the Blue car, but make no qualms about it, Green Toys are equal for boys and girls… blue, red, and pink race cars… as well as Recycling Trucks, Trains, etc… serious fun for all! We already have a few Green Toys eatery items from the Tea Set I bought awhile ago. 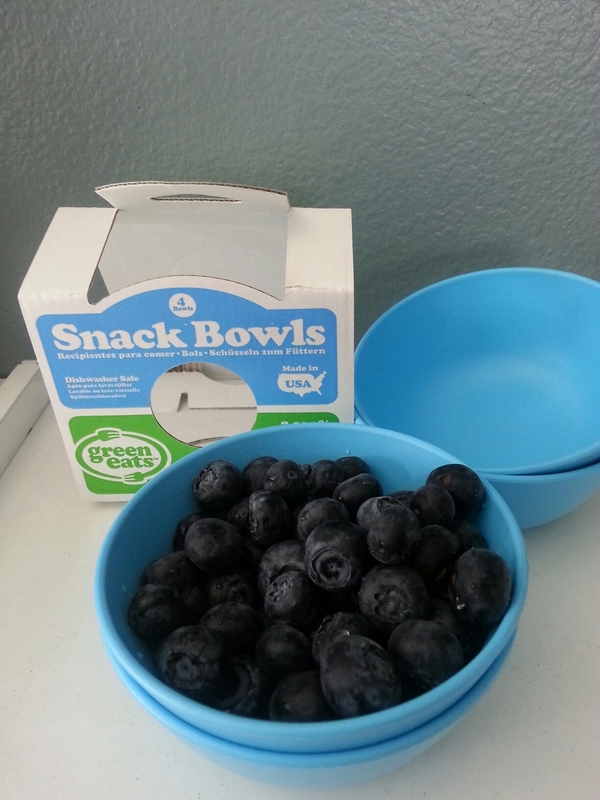 These Snack Bowls are a perfect addition! I can set Bean up with a bowl of blueberries and banana bread and he’s set, munching along while playing in his little Melissa & Doug kitchen! The super awesome thing is these are, also, made in the USA from 100% recycled plastic milk jugs. 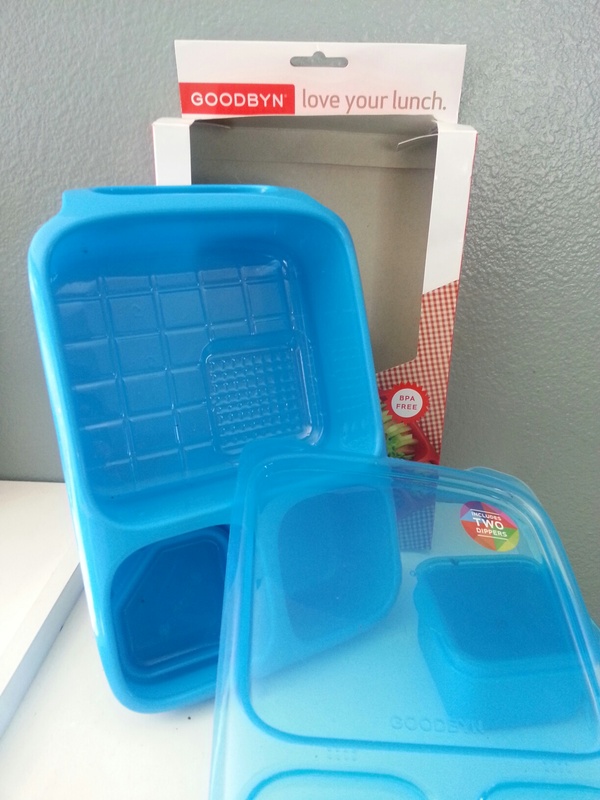 They are Melamine-, BPA-, PVC-, and Phthalate-free! AND dishwasher safe… So I can keep Bean safe and clean with these great Green Eats! We’ve received a few board books from Barefoot in past boxes and they’ve been great… this is the first singalong book! I know their singalong books are fun, because we fell in love with “A Hold in the Bottom of the Sea” when we used to frequent The Reading Bug’s Story Time in the Bay Area’s cute peninsula town of San Carlos! 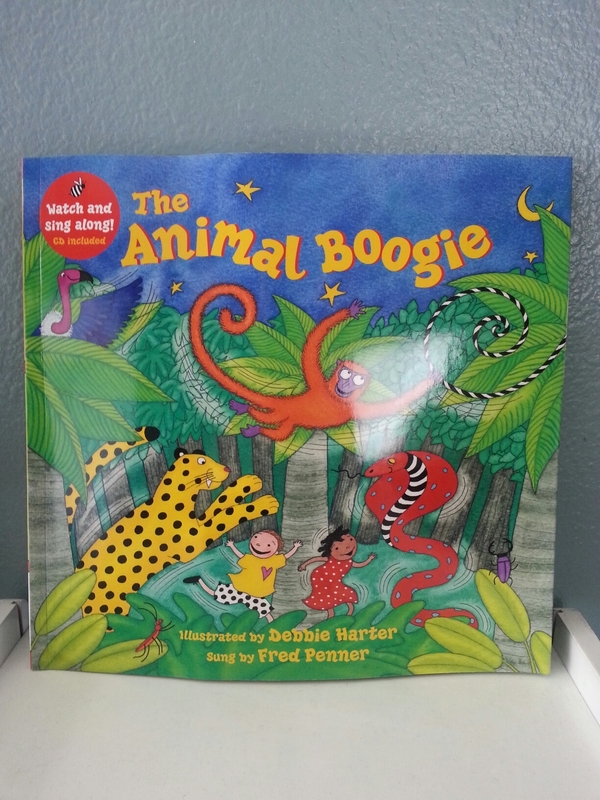 In our box this month we received, “The Animal Boogie” set… it contains a book and enhanced CD which features the song and an animated video. I look forward to moving into our new home where Bean will have his own room to play and a little CD player for that room, so that we can boogie on down with him and the animals!! In Lemon Verbena, my favorite scent of theirs! Oh, Wait, I just looked at their site.. they have so many more scents out now!! Yum! Might have to re-evaluate this… Radish!?!? That’s sounds interesting! A personalized gift card with my own photos and sayings… sent to the person of my choice!